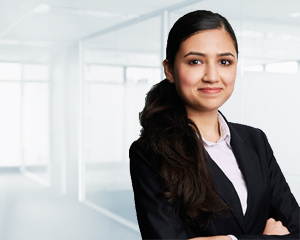 As a member of the accounting team in Canberra, Komal Babani specialises in self managed super fund accounting, administration and taxation, assisting clients both in Canberra and Brisbane with the establishment, administration and compliance of their SMSF. Komal completes clients’ financial statements and tax return and organises the independent audit at year-end, ensuring the work is of the highest standard and the utmost importance is placed on accuracy. She is a personal point of contact for her clients to ensure high levels of service. Komal believes that Dixon Advisory clients receive a comprehensive and high quality service covering all areas of self managed super funds. Our clients have dedicated Account Managers and Investment Advisers who are experts in the industry who are there to assist clients in reaching their retirement goals. “Providing clients with an excellent service and alleviating their burden of administrative and compliance duties gives me great satisfaction. Our expertise allows us to provide clients with a well-rounded service so they can enjoy their retirement,” she says. Komal has a Bachelor of Commerce in Accounting and Finance from University of Canberra. She has completed her Graduate Diploma of Chartered Accounting and is in the process of being admitted a member of the Institute of Chartered Accountants.